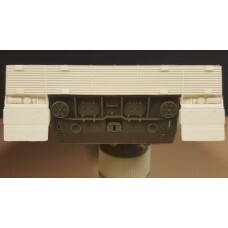 Designed to replace the mounts in the new Dragon and Tasca Sherman kits, includes accurately scaled ..
Converts Tasca Early M4 Suspension with upswept return roller arm to the Type seen frequently on Can.. 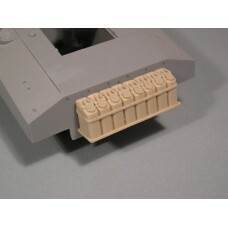 Accurately detailed split hatch with spring balance. 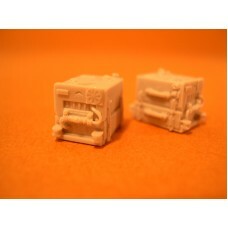 Includes machine gun travel lock, hip pads, loc.. 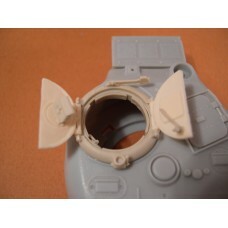 This highly detailed cupola is perfect for replacing the poorly detailed parts on the Dragon kits an..
Includes Highly Detailed Stowage Boxes for M4 Sherman Firefly Ic. 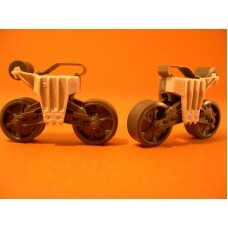 Can be used to upgrade the detail .. 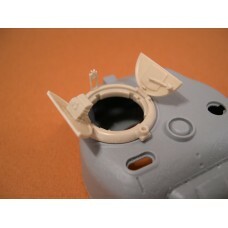 Replacement turret shell and gun rotor for Academy kit #13206. 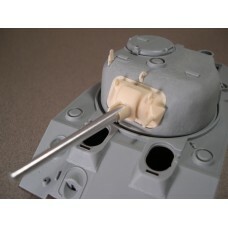 Corrects the shape of the turret shel.. 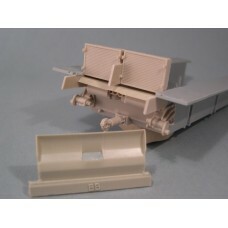 Replacement Lower Rear Hull Plate, Square Air cleaners, and Fish Tail Exhausts for Academy's M3 Lee .. 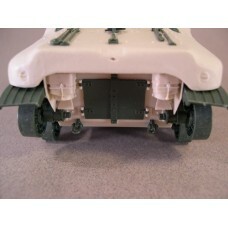 Provides detailed lower hull rear plate, exhausts, radiators, and two styles of exhaust deflector to.. 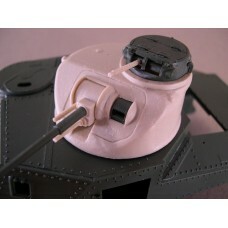 The tanks that went ashore at Tarawa in Nov. 1943 had a rack mounted on the rear plate for 8 water c..
Includes 12 Cable Clamps ..
A replacement set of road wheels for the M13/40 and Semovente. 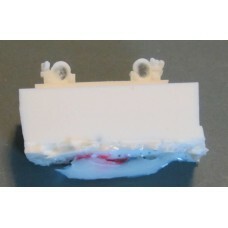 The resin cast parts are designed to .. 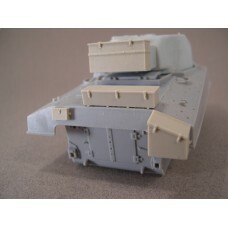 Replacement rear grill for the Leopard 2A4M CAN (HobbyBoss kit# 83867). Has the correct 11 slats on ..